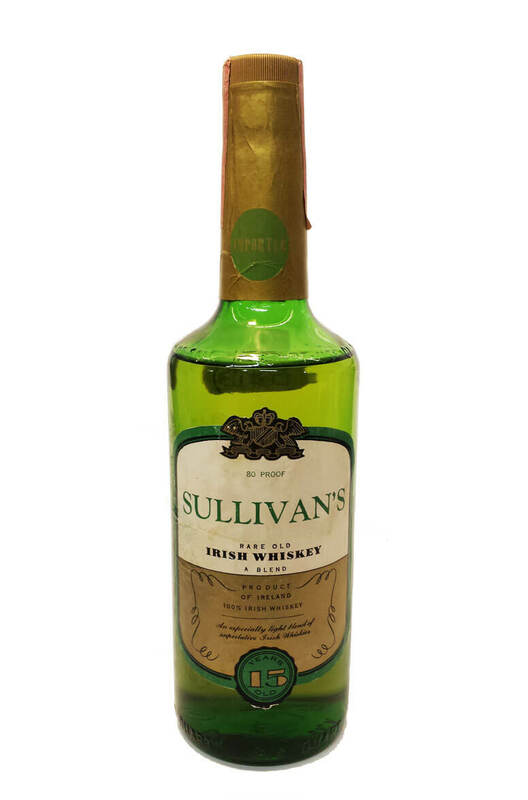 An exported bottle of Irish whiskey that was botled by Stuart Rhodes Ltd in New York. The label states 'An especially light blend of superlative Irish Whiskeys'. This most likely dates from the 1960s. The bottle is in good condition for the age and has evapourated slightly with a fill level at the shoulder. The closure is a screwcap and the original US Internal Revenue seal is intact. This is a 4/5 US quart in size.